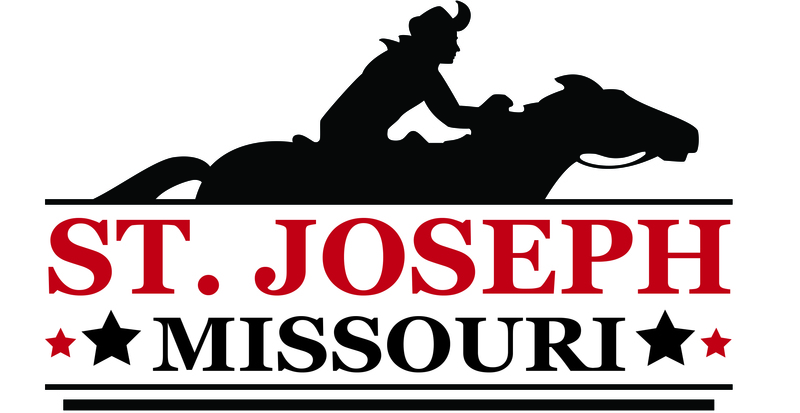 St. Joseph is known for many things: Pony Express, Jesse James, Cherry Mash Candy, and more. However, most people don’t connect St. Joseph with the Civil War. While it’s true there were no great battles here, there was conflict. Neighbor turned against neighbor. Business partners dissolved partnerships. Families became divided. 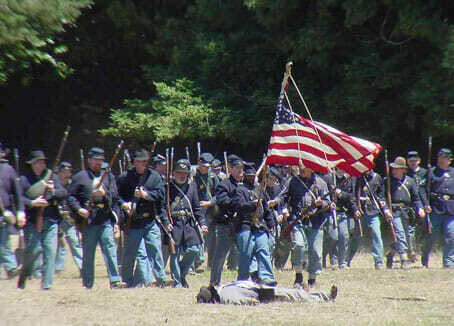 Approximately 2,000 men fought for the Union, while roughly the same number joined the Confederate cause. Extraordinary events in the Freedom’s Frontier National Heritage Area (FFNHA) forever changed America. In the nineteenth century, the nation turned its eyes to the Missouri/Kansas border, where people with diverse definitions of freedom collided, inciting and fueling the Civil War. The impact of these events forever woven into the nation’s fabric. Freedom’s Frontier provides new opportunities for visitors and residents to explore the evolving ideal and fundamental American value of FREEDOM. The War was barely a month old when the United States flag was torn down from the roof of the Post Office and destroyed by a secessionist mob. Union troops arrived in St. Joseph to keep the town under Federal control and protect the Hannibal and St. Joseph railroad. It wasn’t long, however, before they were ordered elsewhere. City leaders tried to keep St. Joseph neutral, but the city was still considered an important transportation hub, as well as a viable commercial center to be left alone for very long. Shortly after the Union troops left, Confederate militia marched into town and took control. St. Joseph was looted. It is estimated that 25 wagons of various items were loaded up and headed south. When word of the trouble in St. Joseph reached the Union Army, more Federal troops were sent to St. Joseph. These soldiers arrived in St. Joseph in September 1861. At the end of 1861, St. Joseph found itself under martial law. Over the next four years, the citizens of St. Joseph were required to have passes to enter and leave the city. There were still many Southern sympathizers in St. Joseph who refused to sign a loyalty oath to the United States. As a result they were assessed heavy fines and put in jail. By the end of the war roughly 2,000 men from Buchanan County joined the Union Army and approximately the same amount joined the Confederate. It took several years for St. Joseph to recover from the Civil War. During the next decade, the city reestablished its reputation as a commercial center. Business returned and the city grew and thrived as one of the busiest and wealthiest cities in Missouri during the late 19th and early 20th centuries. Buchanan County is one 41 counties represented in the Freedoms Frontier National Heritage Area. Today, St. Joseph is home to nine registered Freedom’s Frontier sites. Each of these sites have historical significance to the Civil War. They also display exhibits that outline the struggles and successes of the St. Joseph area during the time of the Civil War.  The St. Joseph Museum is the oldest of the four museums in the St. Joseph Museums, Inc. system, beginning in 1927 as the Children’s Museums of St. Joseph. The Black Archives Museum features exhibits on such topics as the Underground Railroad, the Middle Passage, Desegregation, Education, Sports, and other aspects of African-American history in St. Joseph. St. Joseph is known for the start of the Pony Express and the end of Jesse James, and Patee House played a role in both. Located one block away from the Patee House Museum, the Jesse James Home is the location at which infamous outlaw Jesse James was shot and killed on April 3, 1882. A series of connected houses was built in the late 1840’s by city founder, Joseph Robidoux. Mount Mora Cemetery, established in 1851, is the oldest operating cemetery in Saint Joseph, Missouri. The National Military Heritage Museum is dedicated to preserving the military heritage of the United States Armed Forces and those who served on the home front. The Remington Nature Center provides a unique experience in NW Missouri. Entering the doors allows you to travel through time and experience how much this part of the United States has changed throughout history.